Price $153.00, Lay By is welcome. Over a period of eighty years Australian artist Norman Alfred Williams Lindsay (1897-1969) produced a prodigious amount of work – pencil drawings, pen and ink drawings, water colours and oil paintings – and the etcher’s needle was to become as natural an extension of the artist’s hand as his pencil, pen and paint brush. With equal constancy and application he developed into true magnificence his techniques of etching. 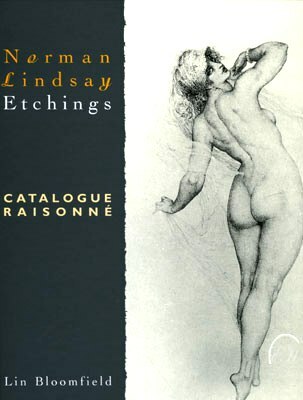 This volume includes an updated Catalogue Raisonné and a text (with some new material) condensed from the original definitive publication,The Complete Etchings of Norman Lindsay, of 100,000 words to 10,000 words.